What are the Best Dogs for People with Allergies? In many homes, dogs are part of the family unit, however some people have allergies to pets that cause havoc on their well-being. The dander (skin flakes) on dogs can cause allergic reactions in people. Along with dander, some people react to an animal’s saliva and urine too. Allergies can range from itching to respiratory problems. There has always been a question whether a long haired dog versus the short haired breeds would cause allergies. It’s not the animal’s hair length that is the problem- it’s the flakes that come off the dog’s skin and comes in contact with the person. However we can’t ignore the fact that the hair on the dog does collect pollen, dust, mold, and other pollutants that are brought indoors that can create an allergic environment. Although it is hard to say that a dog is truly non-allergenic as even some of the hairless breeds still produce a small amount of dander. According to the American Kennel Club (AKC) that is one of the largest dog registries in the world, there are some dogs that produce less dander than others. These dogs may be best for people with allergies. Poodles – There are three sizes of poodles, the toy, miniature, and standard. The poodle produces little dander and doesn’t shed much, however the fur needs to be groomed to prevent matting and to keep the dog’s coat in good shape. There are some crossbreeds of poodles that are popular today, because of their different sizes, colors and mix such as the Labradoodle (Labrador Retriever and Poodle), Airedoodle (Airedale Terrier and Poodle) and the Cockapoo (Cocker Spaniel and Poodle). The purebred Poodle would be less allergenic, however, if the person’s allergies are not severe, these hybrid breeds make great friends. Portuguese Water Dogs – This dog is a close relative to the poodle and is somewhat hypoallergenic due to low dander. This dog is more muscular than the poodle and a medium size ranging in weight from 35 to 55 pounds and a height between 17 to 22 inches tall. The fur grows slower than the poodle, which means fewer trips to the groomer for clips. Daily brushing keeps the coat in tip-top shape. Terriers seem to be good dog breeds for people with allergies and there are quite a few to choose from. Even though some terriers have more fur than other dogs, they shed very little. They are easy-going dogs and range in different sizes. The AKC suggests the following terriers as good dogs for allergy sufferers: Kerry Blue terrier, Soft Coated Wheaten terrier, Bedlington terrier, and the Yorkshire terrier. Two dogs with virtually no hair are the Mexican Hairless (Xoloitzcuintli) and the Chinese Crested. Obviously they do not shed and are cuter than you think with great personalities. 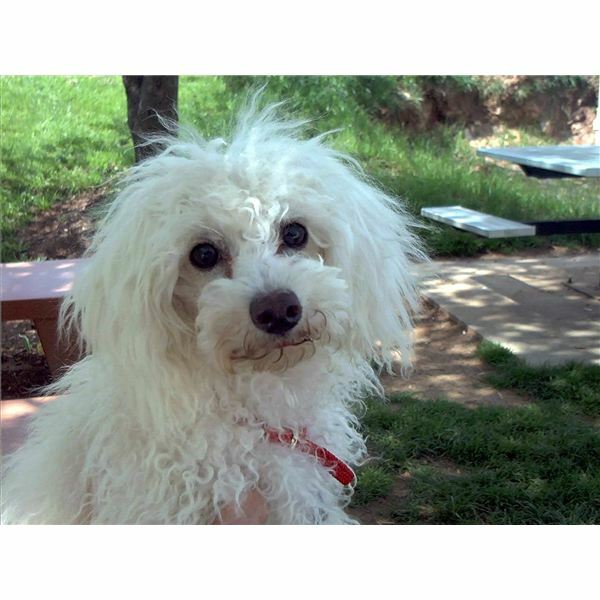 Other great options named by the AKC are Bichon Frise, Maltese, Irish Water Spaniel, and Schnauzers. It’s best to read up on these dog breeds and find a match to your family life and living quarters.